France is particularly well positioned in the world for foreign literature: as a percentage of total book published, it represents three times more than in the U.S.
For contemporary Chinese literature, two to three times more novels than in English speaking countries, are translated. The approach of the publishers is essential even in the case of classical literature where “Les Belles Lettres” just released two more volumes (“Commemoration” by Su Shi, translated by Stephane Feuillas and “Nineteen ancient poems” translated by Jean-Pierre Diény). With this bilingual collection of “Chinese Library”, led by Anne Cheng and Marc Kalinowski, publishing in France can compete with the American university collections. For contemporary literature, specialised publishers, (Philippe Picquier and Bleu de Chine ) have played an important role, the same goes with some major companies (Le Seuil, Actes Sud) or with small groups, specially for poetry ( Editions Caracteres , Meet in Saint-Nazaire). Also the translators have a major role with the quality of the translations but also with their efforts in promoting the works of writers they know well. A passion but also a professionMany of the literary translators have another profession, in order to pay the rent ! Often teaching in high schools or universities or members of research organizations. This is not a positive situation as literary translation is much less paid than technical translation, but this is also the case in England and in the United States. Promotion of books and international exchanges are essential and it can be noted that the contacts organized by translators are of a quality far superior to conferences set up by public official bodies. 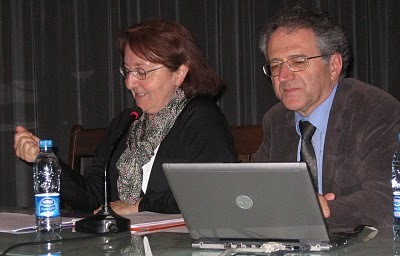 For example, the Franco-Chinese literary dialogues, the ten ALIBI workshops, led by Annie Bergeret-Curien, CNRS researcher and translator (specially of the famous writer Han Shaogong ), have provided quality results which are published (Editions de la Maison des Sciences de l’Homme) : two writers, Chinese and French, each of them write a short story on a given topic, then the written texts are translated and a meeting is arranged between the two writers and their translators. Also high-level seminars on translation and literature are organized by the team from the University of Provence, around Noel Dutrait.The internet site of this team , led by Pierre Kaser, plays an important role in France, providing information on Asian literature; the same goes with” Ideo, Impressions of the Far East”, a journal on the Internet the second issue of which is due soon. Other academics have developed translation activities around their personal research, as Sebastian Veg who translated and commented two major collections of works by Lu Xun . The works of several great writers are widely translated. This is the case for Lao She with the efforts of Paul Bady and Claude Payen. Isabelle Rabut and Angel Pino promoted Yu Hua , who gave them, the world premiere of his latest book; they also support with talent theTaiwanese literature. For Mo Yan , fifteen books are translated due to the efforts of Editions du Seuil and the translations of Noel and Liliane Dutrait and of Chantal Chen-Andro! The quality of work is recognized by the authors, who often give to the French publishers the right to translate their works as a world premiere; this is the case for Yan Lianke with the publisher Philippe Picquier and the translator Brigitte Guilbaud and this is also true with a great writer of detective stories, Qiu Xiaolong, whose novels are released by the publisher Liana Levi, translated from the English, six months before their release in the United States. Therefore, in this very positive environment, the death of Liliane Dutrait is felt in a very special way. Liliane Dutrait, a translator and a talented woman A degree in art history and archeology and in Chinese, Liliane Dutrait held a job as a journalist specializing in the fields of history, archeology and Chinese ceramics. She then worked as a proofreader and editor for many publishers. Then, with Noel Dutrait, the translation “duo” has occupied much of her time. First there was the adventure of “The Soul Mountain” by the Nobel Prize for Literature Gao Xingjian , published in 1995. One of the great books of recent years, a book of nearly 700 pages translated without a publisher’s contract, for passion and friendship. It is this music of language which is striking. This reconstruction from the Chinese that few readers can appreciate, but also the music of the French language that all readers can recognize, including foreign admirers. At the London Conference, earlier this year, for the anniversary of Gao Xingjian , English academics indicated that they read “The Soul Mountain” in the French translation, a “real pleasure” compared to the English translation although of very high quality. ► Celebrating Liliane Dutrait, November 23, 2010 at 18:30 in “La Cité du Livre », 8-10, rue des Alumettes, Aix-en-Provence. Further information on the blog Far East Literatures.